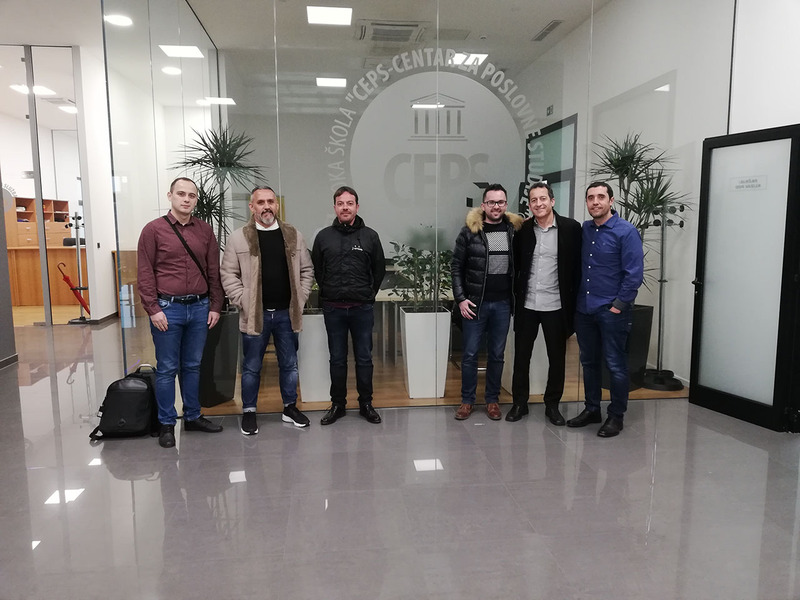 Four professors from Spain were at “CEPS - Centre for Business Studies” College in Kiseljak from 4 March 2019 to 8 March 2019. The reason of their visit was implementation of Erasmus + project of “CEPS – Centre for Business Studies” College in Kiseljak and Spanish consortium. The objective of project is improvement of teaching competences and relations between institutions based on improvement of student mobility collaboration. The visiting professors attended different meetings with services for international cooperation and career development, quality insurance and with management of College. The forthcoming cooperation is appointed. Professors work at the following institutions of higher education: Institut Joan Brossa - Barcelona, IES Luis Buñuel – Madrid, CEEDCV- Centro específico de educación a distancia de la Comunidad Valenciana and CIPFP Luis Suñer Sanchis – Valencia.